Home About Universe Alien stars Astronomy Beginners Gallery Info Infographics Missions Physics Technology "Our Holographic Universe" --Will It Prove to Be the Greatest Theory of the 21st Century? 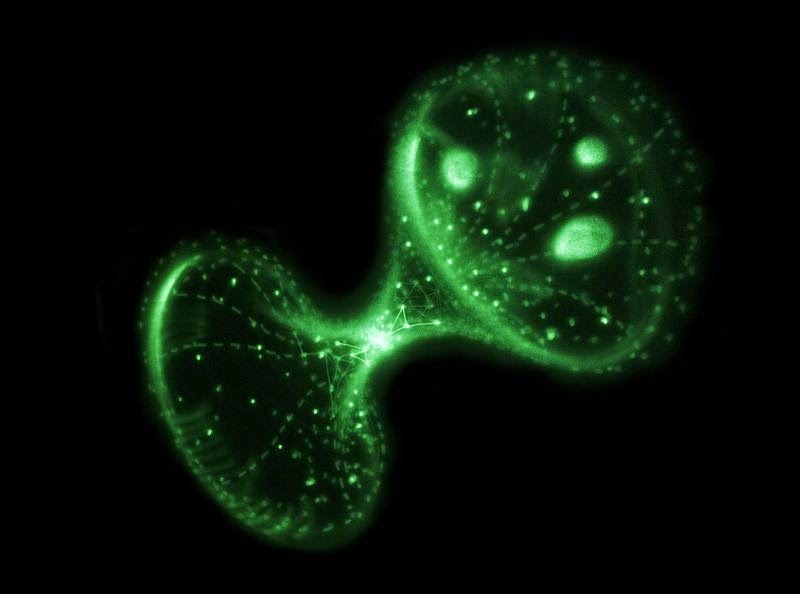 "Our Holographic Universe" --Will It Prove to Be the Greatest Theory of the 21st Century? Whether we actually live in a hologram is being hotly debated, but it is now becoming clear that looking at phenomena through a holographic lens could be key to solving some of the most perplexing problems in physics. Last month, Japanese physicists presented in Nature News as "the clearest evidence yet that our Universe could be just one big projection." The universe existing as a ‘hologram’ is the theory that the three dimensions we perceive are actually just “painted” onto the cosmological horizon - the boundary of the known universe. In two papers on arXiv, that represent the the culmination of many years’ work focused on hypothetical calculations of the energies of black holes in different universes, Yoshifumi Hyakutake and colleagues from Ibaraki University in Japan offer evidence that supports a theory that suggests that a universe as we conceive of it could actually be a hologram of another two-dimensional space --a holographic projection of another, flat version of you living on a two-dimensional "surface" at the edge of this universe. This radical model of the universe helps explain some inconsistencies between general relativity (Einstein’s theory) and quantum physics. At certain extremes (such as in the center of a black hole) Einstein's theory break down and the laws of quantum physics take over. The standard method of reconciling these two models has come from the 1997 work of theoretical physicist Juan Maldacena, at the Institute for Advanced Studies in Princeton, who proposed a radical model of the Universe in which gravity arises from infinitesimally thin, vibrating strings which exist in nine dimensions of space plus one of time, and would be a hologram --a simpler, flatter cosmos where there is no gravity. Maldacena's theory provided physicists with a mathematical Rosetta stone, a 'duality', that allowed them solve problems in one model that seemed unsolvable in the other, but has yet to receive a rigorous proof. A theory that Columbia University mathematican PeterWoit describes as "not even wrong." In one paper2 described in Nature, Hyakutake computes the internal energy of a black hole, the position of its event horizon (the boundary between the black hole and the rest of the Universe), its entropy and other properties based on the predictions of string theory as well as the effects of so-called virtual particles that continuously pop into and out of existence. Paper 3, calculates the internal energy of the corresponding lower-dimensional cosmos with no gravity. The two computer calculations match. Maldacena embraced the new research as “an interesting way to test many ideas in quantum gravity and string theory.” “The whole sequence of papers is very nice because it tests the dual [nature of the universes] in regimes where there are no analytic tests," he added. Maldacena concluded that "the numerical proof that these two seemingly disparate worlds are actually identical gives hope that the gravitational properties of our Universe can one day be explained by a simpler cosmos purely in terms of quantum theory."